EMC RecoverPoint for VMs is a virtualized hypervisor-based replication and disaster recovery solution that is integrated into the VMware. Virtual RecoverPoint appliances is installed on existing ESXi servers with and ESXi splitter that resides on all servers with protected workloads, allowing replication and recovery at the virtual disk (VMDK and RDM) level. 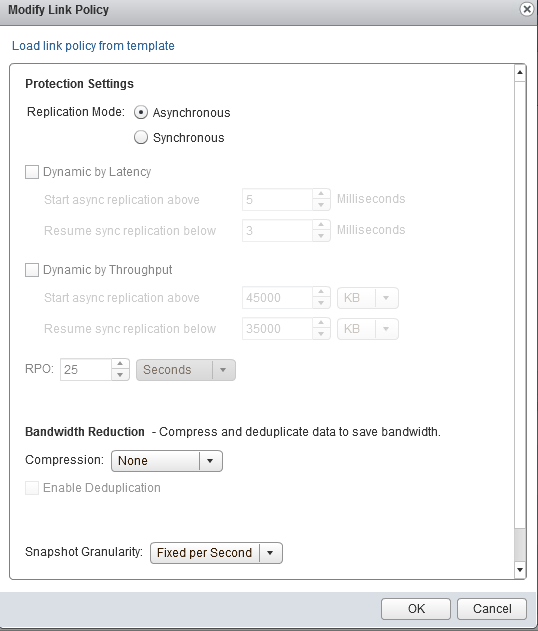 Since the I/O splitter resides within the vSphere hypervisor, RecoverPoint for VMs can replicate VMs to and from any storage array supported by VMware: SAN, NAS, DAS, and vSAN. 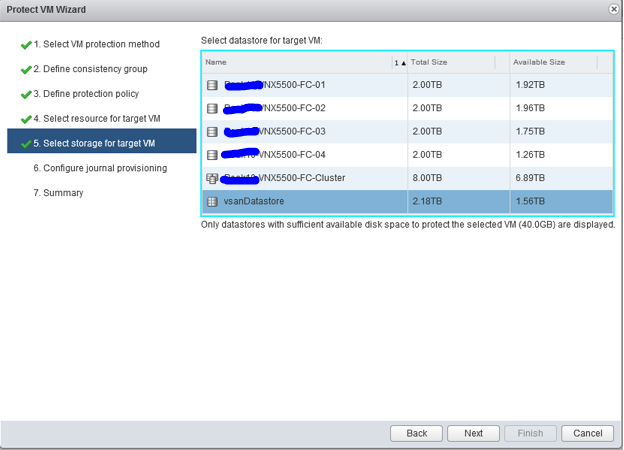 This blog will cover protecting VMs but first you must have the following prereqs completed. 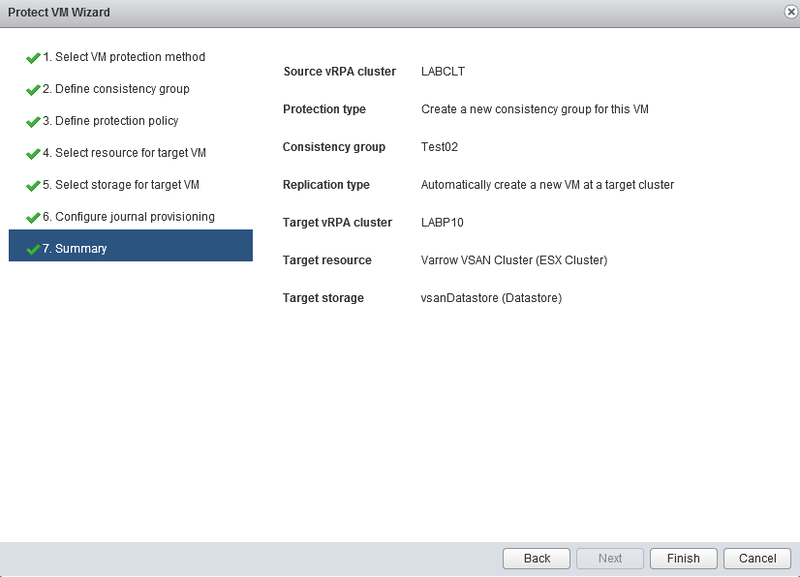 Protect VM Wizard begins. Start with creating a new Consistency Group or add to an existing Consistency Group. Define the Protection Policy. 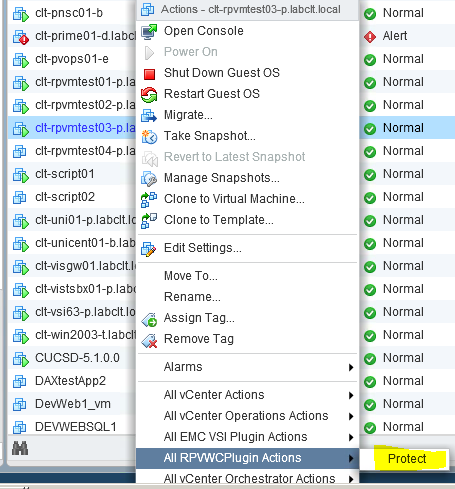 Create a new VM or an existing VM and set the replication mode. 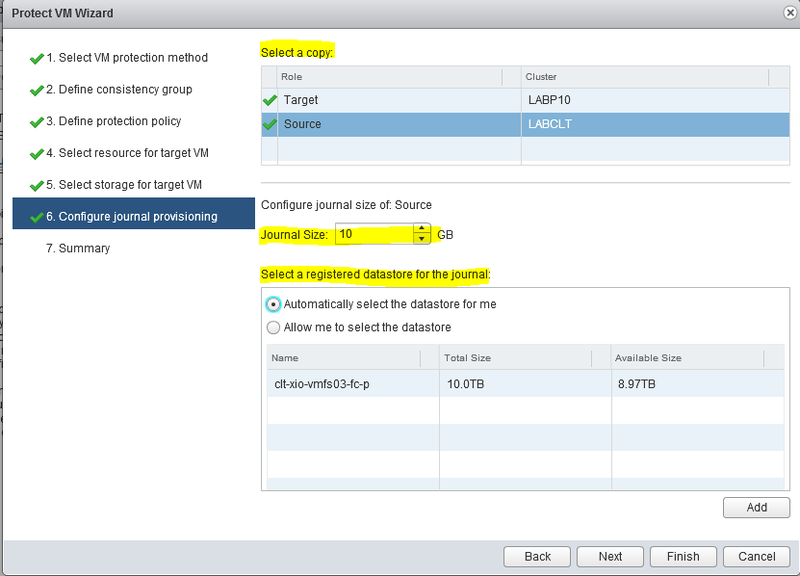 Configure the Journals for both the Source and Target. Modify Group Policy. Here you can specify the vRPA and the Priority Level. Modify Link Policy. Here you decide the Replication Mode as well as the Bandwidth Reduction. Compression and dedup requires 8 vCPU and 8GB Memory on each vRPA. 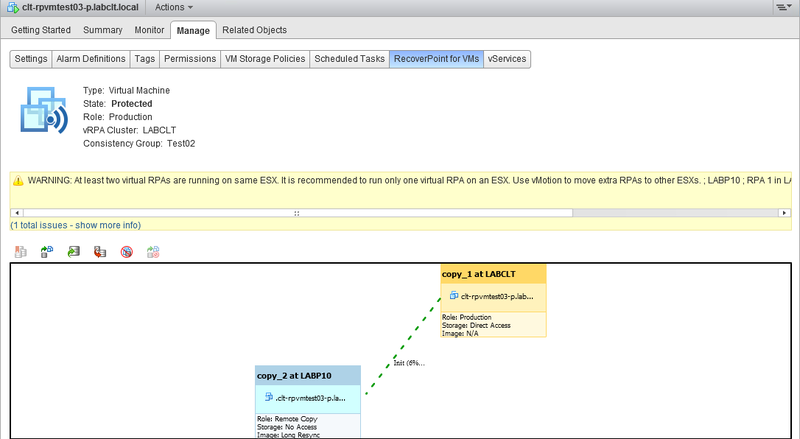 You can go back to the RecoverPoint for VMs tab and monitor the Replication process. 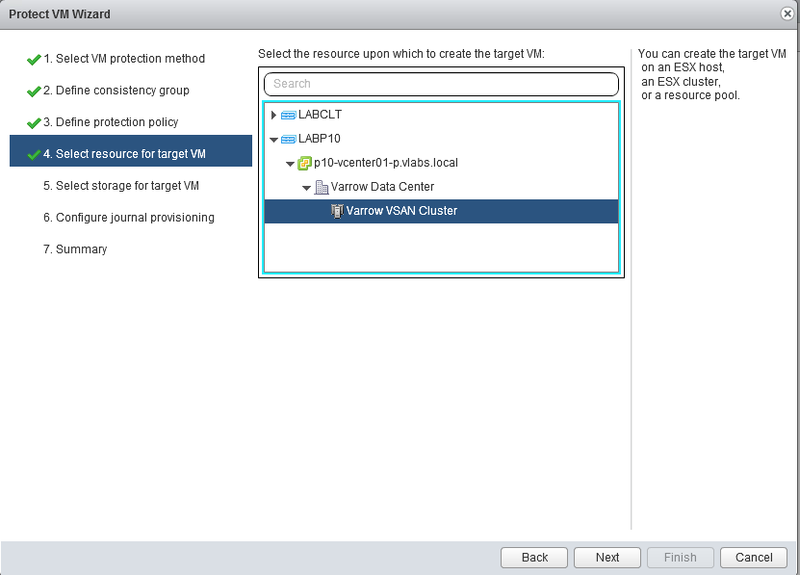 A VM will be created at the target with a .copy.recoverpoint added to it.